INDUSTRY.co.id - Jakarta - Head of the Center for Nutrition and Health Studies Faculty of Public Health University of Indonesia Ahmad Syafiq gave his views on sweetened condensed milk. Syafiq mentions sweetened condensed milk (SKM) has relatively higher protein content than other types in the category of condensed milk. In addition sweetened condensed milk is also considered to have a nutritional quality that is almost equivalent to other milk. What distinguishes between sweetened condensed milk with other dairy products such as liquid and even powder lies only in the amount of milk content. "Just the same in terms of quality, although the amount of milk content is different, it is important to remember that all types of food are complementary there is no single food or beverage that can meet the nutritional needs of a person Anyone may consume sweetened condensed milk in moderation," he said. However, he said, sweetened condensed milk is not suitable for infants and it should also be noted that the growing needs of children need the consumption of adequate animal protein. So that required protein intake from animal sources. Sugar in sweetened condensed milk is not something to be feared. 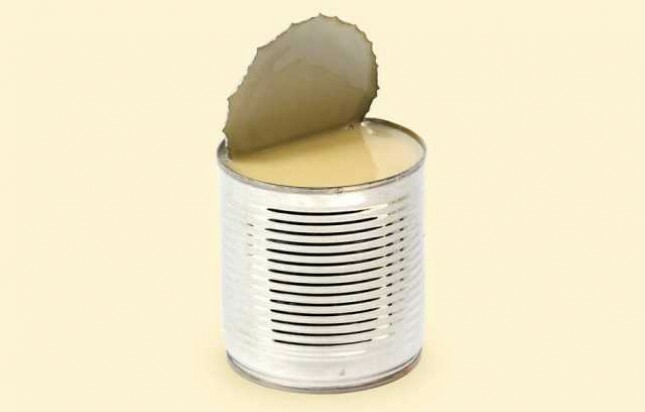 Sugars in sweetened condensed milk are needed to prevent product damage. The product is pasteurized and packaged in a hermetic manner. In the process of making it, water from evaporated milk is added sugar which also serves as a preservative. So sugar is needed in sweetened condensed milk products. Responding to community confusion related to sweetened condensed milk, he said that the government should continue to improve efforts to increase the nutrition of the community and continue to work on developing an evidential-based policy. On the other hand, he also suggests that people should not be easily provoked with excitement. "The government is expected to provide education to the public so that the public is not restless and confused with the information in circulation. The people need to be wise to respond to the excitement, not panic and increase their knowledge about balanced nutrition and nutritional needs and adequacy," he added. Based on data from the Ministry of Industry, the dairy industry continues to grow in line with the consumption of sweetened condensed milk products. Currently, the production capacity of sweetened condensed milk factory in the country reaches 812 thousand tons per year. Meanwhile, the investment value in this business sector exceeded Rp5.4 trillion with total employment of 6,652 people. While Head of POM RI Penny Lukito confirmed that sweetened condensed milk products are milk-containing products and safe for consumption. "Related to sweeten condensed milk is clear, that sweetened condensed milk is a product that contains milk in accordance with the food category," he told media crews in Jakarta recently.